Metal shell, smooth lines, beautiful patterns, disc clock face match nostalgic classic double bell, even if the new era, new changes, it is maintaining the status quo. Needle go silent, accurate, silently with you every happy hour peers. Graceful figure, warm pattern, personalized composition pointer into the heart of this seductive alarm interface. 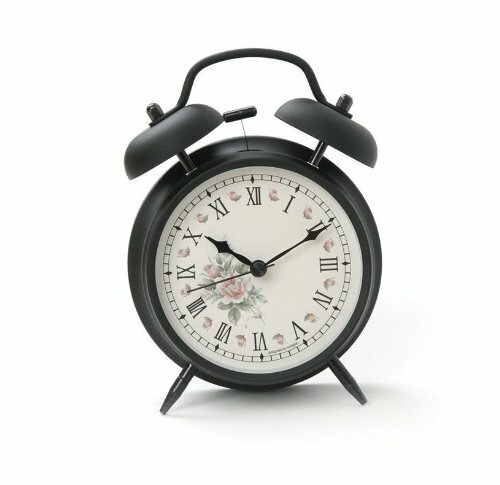 With nightlights, a switch, a battery is prolonged, double-click alarm clock never neglect! Push the alarm nightlights on, let go light is off, environmentally friendly energy. If you have any questions about this product by Alarm Clock, contact us by completing and submitting the form below. If you are looking for a specif part number, please include it with your message.